1. 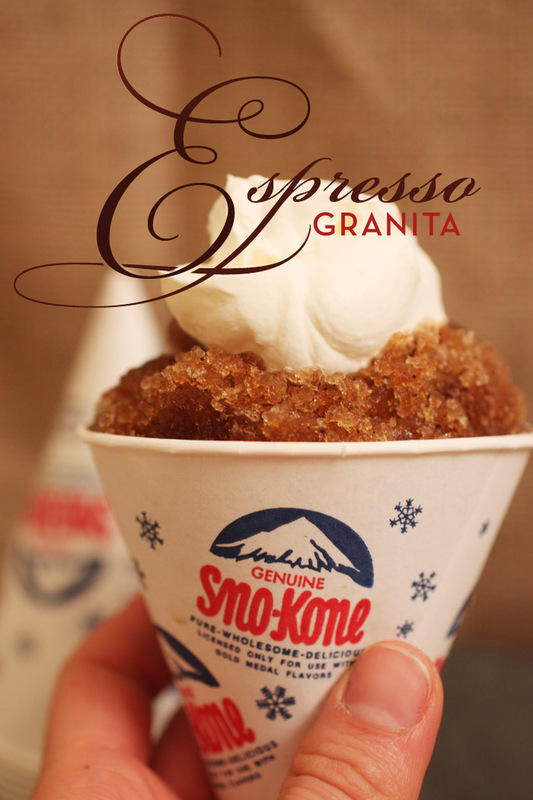 Create an espresso granita like the one a friend had sampled in Tuscany. 2. Whipped cream too, please. Keep in mind that I had not been in Tuscany with my friend at the time she sampled this delicacy. So I had to ask for lots of details because I was flying taste-bud blind. Was the espresso flavor strong? Yes. What was the consistency of the ice? Like little chips, all in different sizes so you could crunch them. What about the whipped cream? Not too sweet. Just a tiny bit to give a little contrast to the espresso ice. I began with some research. 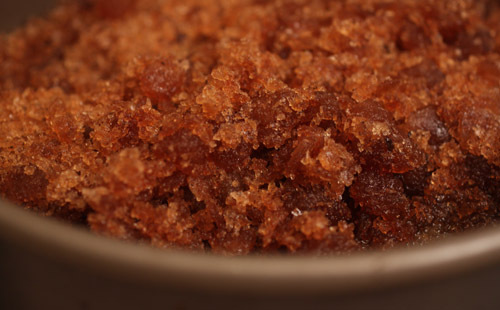 It’s pretty easy to make granita (really). You really just need to freeze stuff, and break it up with a fork during the freezing process every now and again so you don’t get one giant ice cube. One giant ice cube does not a granita make. Following this research, I purchased some espresso from Eataly. This stuff looked pretty good. 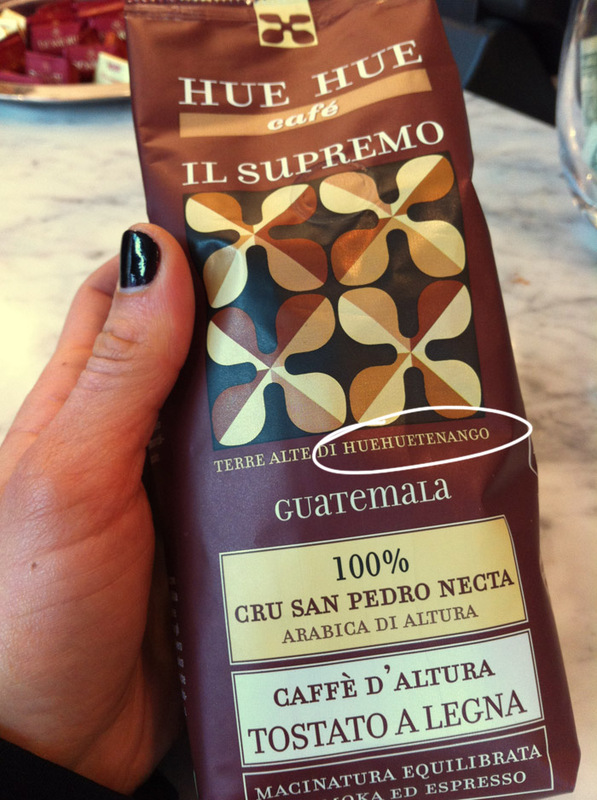 And I really liked trying to say “Heuhuetenango” too. Then I brewed some up using my French Press. 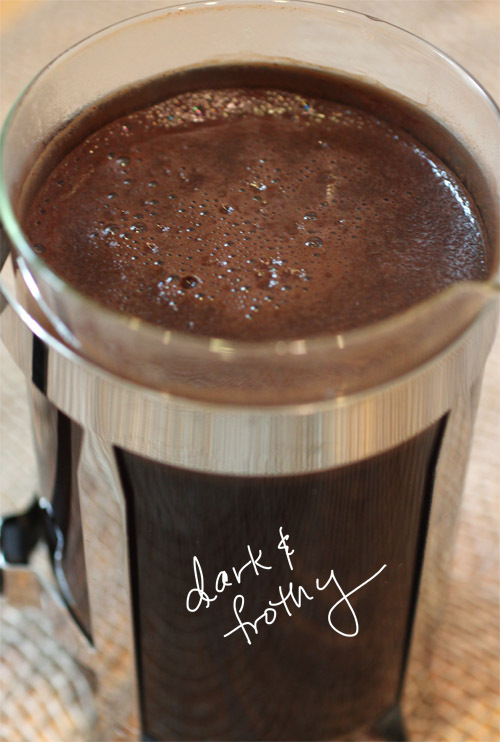 I like the way coffee tastes brewed in a French Press. It’s STRONGER! I used 5 heaping tablespoons. Meanwhile, I boiled some water (3 cups) with about 1/8 cup of sugar in a pot. Once it was all heated up, I poured it into my French Press, waiting the appropriate amount of time (3-5 minutes), and then PRESSED. And then I made some whipped cream. Initially, I made the whipped cream without sugar. But just a tiny bit of confectioners sugar adds a whole lotta goodness. Gather 1 cup of heavy whipping cream and 1 1/2 tablespoons of confectioners sugar. Put them in a mixing bowl and with a hand-held mixer or a stand mixer fitted with a whisk attachment, beat the cream and sugar until it’s whipped and soft peaks form. 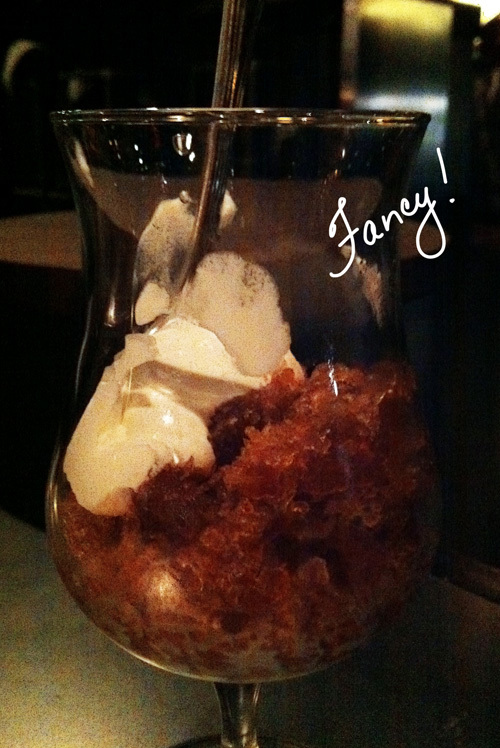 Scoop some granita into a bowl or fancy glass (I used retro snow cone holders) and top with whipped cream. Now for the ridiculous part of the story….you knew there was one, right? Brewed the coffee at home. Poured it into one of my insulated Camelback water bottles. Transferred it to a baking pan and put it in the office freezer. Then from time to time I would get up from my desk to go smash ice chunks. It was actually a very therapeutic workplace activity. Before I left work, I whipped up the cream and transferred the granita BACK into the Camelback (I was hoping this would prevent it from melting). Then I walked to a bar, commandeered us some fancy glasses and served it up. Final determination: success. The espresso granita is crunchy, strong and slightly bitter which pairs nicely with the smooth, creamy and ever-so slightly sweetened whipped cream. Note: The first time I made the cream, I made it without confectioners sugar, but all the tasters agreed that a lil’ bit o’ sugar greatly improves it. Today we have a special caffeinated treat. My friend Amy Ferraris is a talented film maker AND a cappuccino addict. 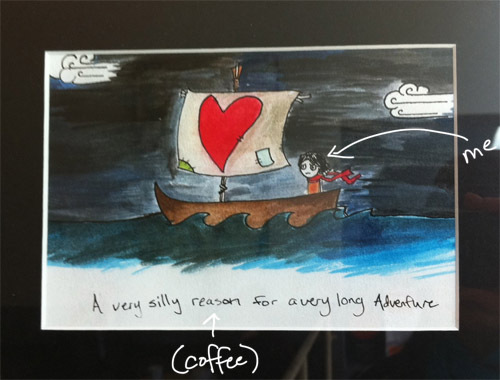 She combined these two passions in a documentary film entitled, The Perfect Cappuccino. 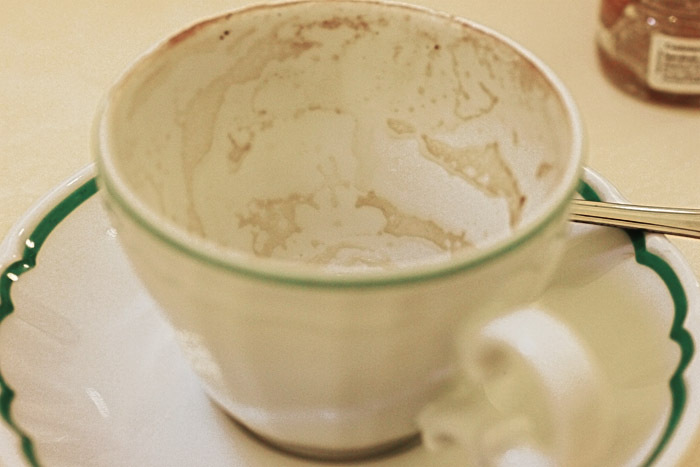 It it, she describes the trials and tribulations of finding that perfect 6 ounces of cappuccino, and what that means in terms of both ingredients and atmosphere. The above link is a trailer to her documentary. We also have a short interview with Amy below. Why did you want to create this documentary? Is there a specific message you want people to take away? I felt compelled to, in the way that you feel compelled to scratch an itch. 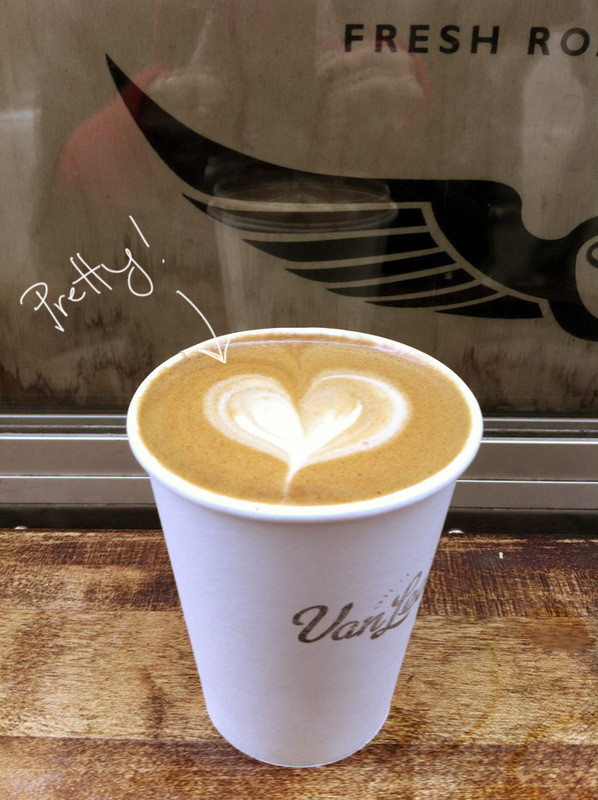 I had spent over a decade obsessing about this question of “Why is it so hard to find a good cappuccino in America?” So I finally decided to look a little closer at the question, in the hope that it would stop plaguing me (which it eventually did). I guess the message I would want people to take away is to PAY ATTENTION to their coffee and to the places where they consume it. 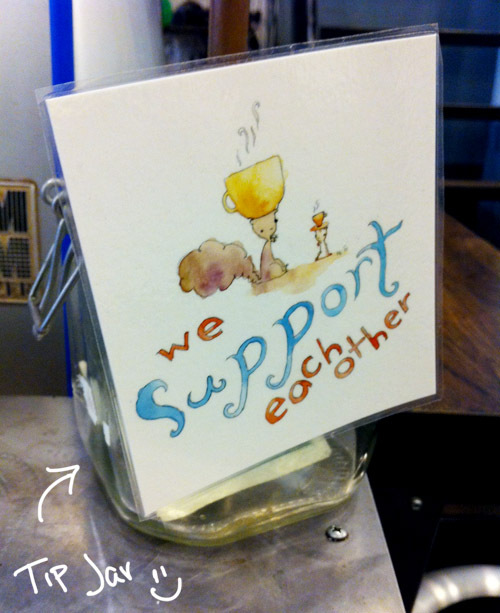 I would also really like it if coffee shop-goers paid as much attention to atmosphere and community as bar- and restaurant-goers do. The coffee shop is not just a place to fuel up on caffeine! 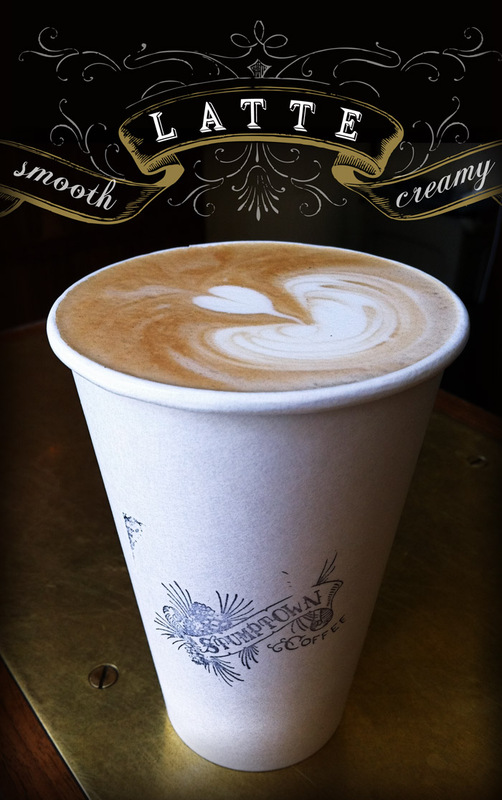 What are the defining characteristics of a good cappuccino? I wrote a whole series of blog posts on this once, the most comprehensive of which is here. 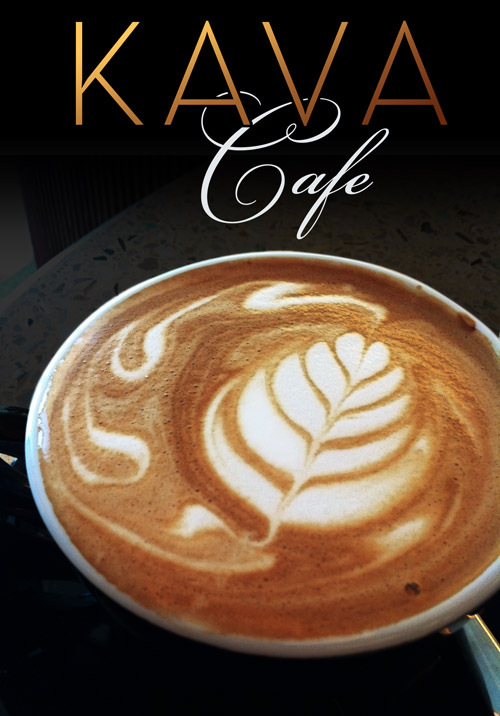 But here’s the “short” version… A cappuccino is typically defined as a drink that is one-third espresso, one-third steamed milk, and one-third foamed milk. I would argue that the perfect cappuccino incorporates coffee, air and milk into a few magical sips of something that is more than just the sum of its parts. 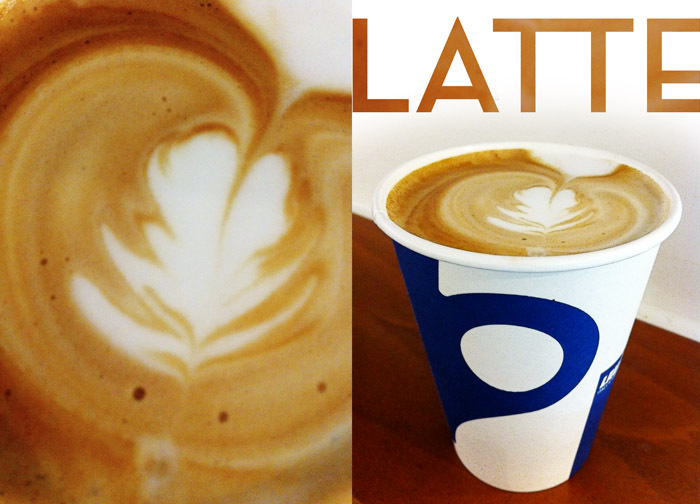 Really good crema del latte is incredibly difficult to produce. But to me, it is what makes a cappuccino a cappuccino. In the course of making my documentary, I interviewed a number of baristas about producing the crema del latte, and the consensus seems to be that it’s all about heating the milk slowly and keeping it below the temperature at which milk starts to taste salty instead of sweet. It’s also about using the right milk. Milks with higher relative protein content – such as nonfat milk – will stiffen up much quicker than full fat milks, forming that horrid meringue-like substance that graces many cappuccinos in America. So when I hear someone ordering a nonfat, extra-hot cappuccino, I feel like they just insulted my mother. Blech. 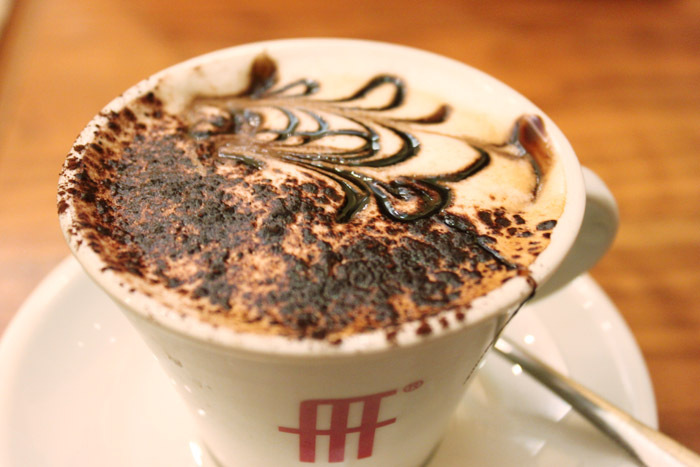 Who makes the best cappuccino and why? I’m happy to say that it’s no longer as hard as it used to be to find a good cappuccino in the U.S. In fact, there are too many places for me to list (although I would recommend using espressomap.com as a resource. That guy knows his stuff). 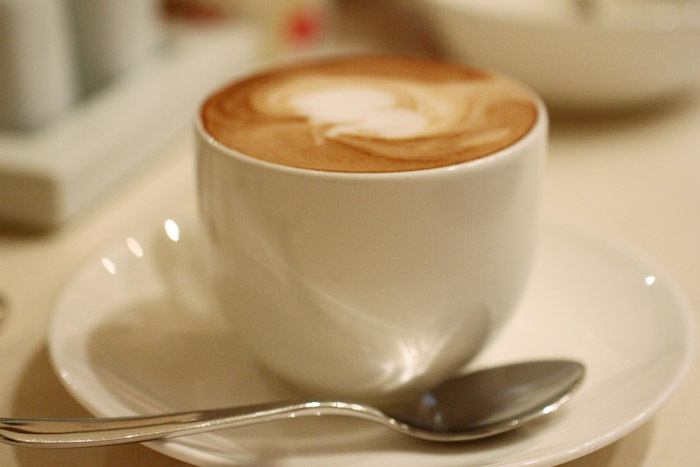 Can you make a cappuccino at home? If not, why? 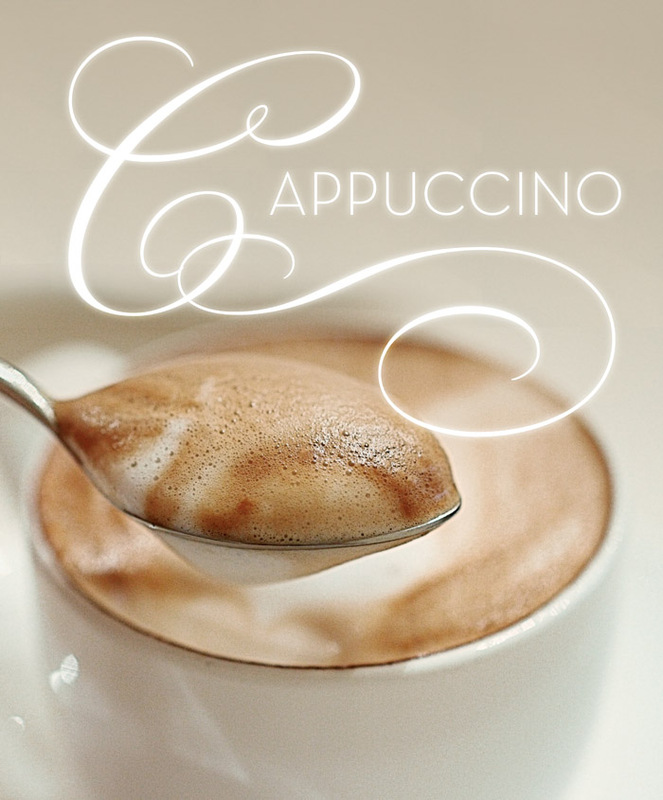 You can make a crappy cappuccino at home, no problem. You can even make a good cappuccino at home if you are willing to invest a few thousand dollars in superior equipment and spend lots and lots of time getting it right (and some people do – check out home-barista.com and you’ll see what I’m talking about). But making a good cappuccino at home is really hard, mostly because making good espresso at home is so hard. Espresso is really finicky, and there are many variables that have to come together for it to taste OK (nevermind for it to taste great). 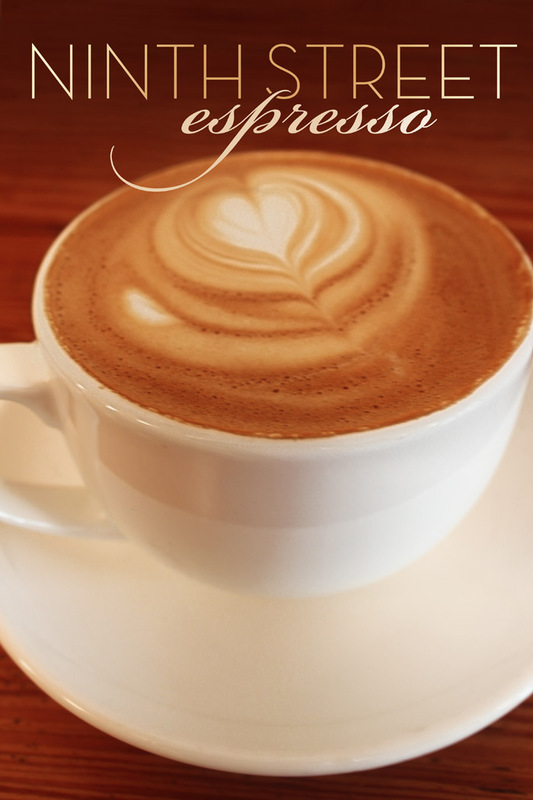 Does your obsession with cappuccino extend to American coffee, and if so what are your favorite brand blends? No, it really doesn’t. I am a milk addict! I am fortunate that the head barista at my awesome neighborhood coffee shop (Bica Coffeehouse in Oakland, CA) regularly offers me tastes of the latest coffees he’s featuring, so I get to try a lot of them. But it’s not usually what I crave. And I don’t drink much coffee overall. So while I like trying little tastes of other things, it’s a rare day that I want a cup of drip for my morning coffee. That said, when I DO drink “American” coffee, lately it has all been single-origin coffees roasted by some of the fantastic roasters near me in the bay area – Ritual Coffee Roasters, Verve, Temple, De La Paz and Four Barrel all come to mind. In the documentary you note that cappuccino has caused you to question your community, country and way of life. But has it brought you any answers? YES! In the process of making this film, I discovered a place that had a real sense of community. You walk in, everybody knows you, you sit down among friends for a long talk or you just stay for a minute to grab your coffee and BS with the guys behind the counter or the person next to you in line. But either way, you have this face-to-face social interaction every day. That place was the DoubleShot Coffee Company in Tulsa, Oklahoma. I felt (and feel) that that kind of community is so special and so wonderful. I later read “The Great Good Place” by sociologist Ray Oldenburg, which perfectly describes the phenomenon I’m talking about – the “third place.” It’s not work and it’s not home – it’s something else. It’s easier to feel a sense of ownership or a feeling of belonging to a place that is not antiseptic or cookie-cutter. And people’s behavior changes when they feel at home. The same person who ignores you in line at Starbucks might strike up a conversation with you if you’re sitting on “their” couch. This is not to say that community can’t form at a Starbucks, but there are barriers to it – the airport security-style lines, the prescribed language for ordering your drink and the customer-is-always-right script you hear in return from the people behind the counter, the get-in-and-out-fast efficiency of the whole place… all these things offer a subtle discouragement to having a genuine interaction with anyone else. Learning all of the above was a big deal for me. It roots me in my community and my neighborhood. I feel very grounded in my “village” – I feel a kinship with the folks I know from my own third place, and that extends to a larger feeling of kinship with my community. I would love it if I could share that message with everyone. 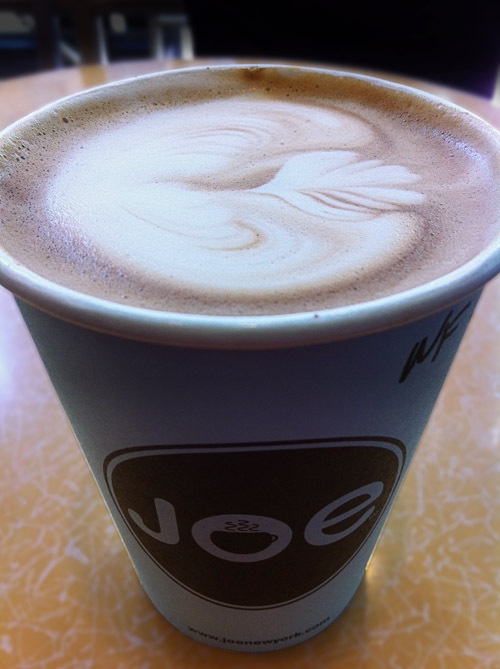 What is the strangest place your search for the perfect 6oz of cappuccino has brought you? That’s a good question. Tulsa, Oklahoma was pretty darn strange for me (I’m a Californian). But in a good way. It’s a city full of contradictions and surprises. I loved it. 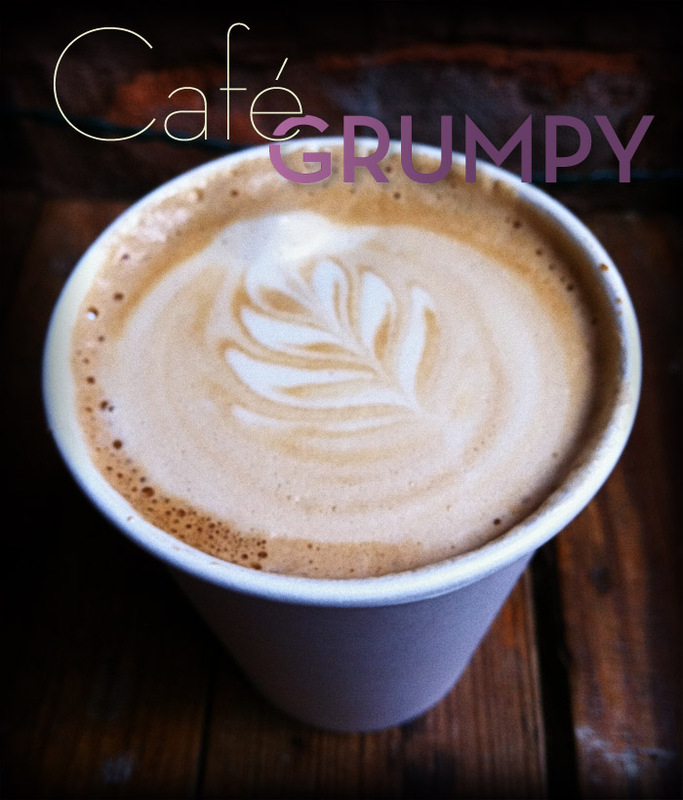 You can also read Amy’s blog and check out the official Cappuccino Movie website here. • Eataly is on my walk from physical therapy to work in the mornings. • I’m in PT because I have some irritating IT Band tendinitis. • My P.Therapist, Phil made an entire CD for me of 90’s Hip Hop! Thank you, Phil! You rule. It’s not doing much for my knee, but it helps tune out my coworkers. 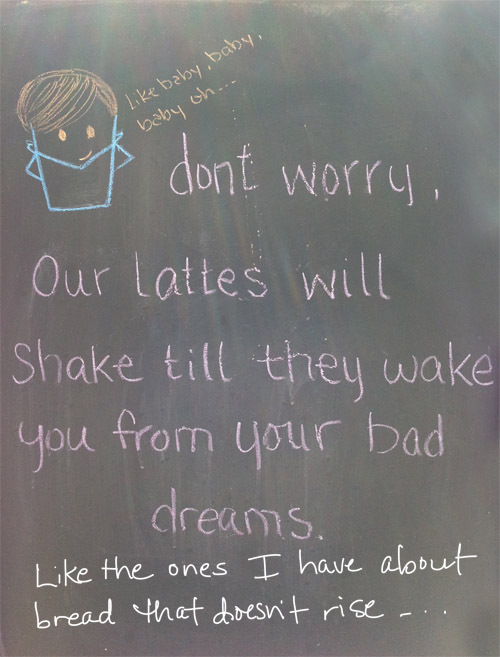 • Lattes are an important part of P.T. 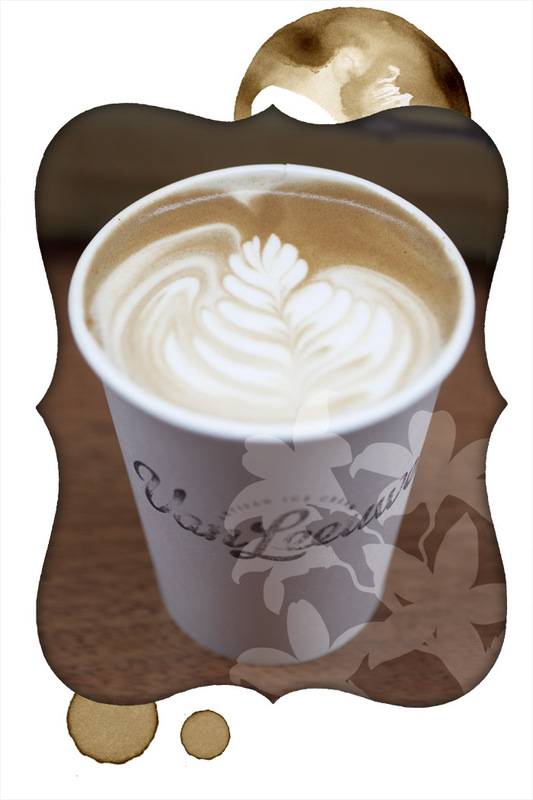 • Eataly’s lattes are darn good. Even the ones made with skim milk. • Espresso to Milk Ratio: well balanced. • Good espresso flavor, not overpowered by the milk. And not too bitter either. 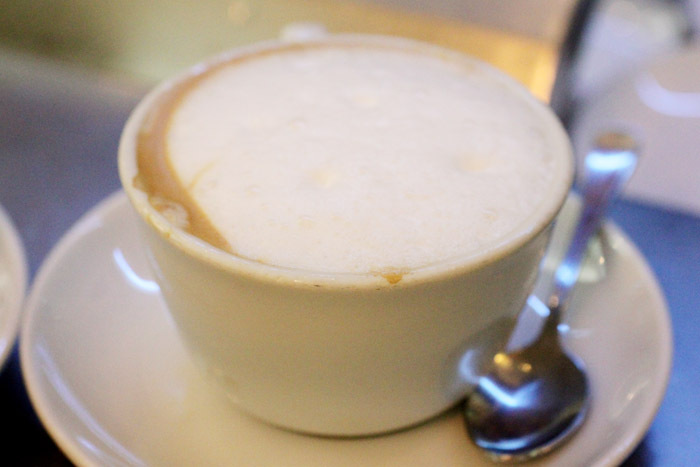 • Steamed milk is light and fluffy, but not too foamy. It’s still drinkable. 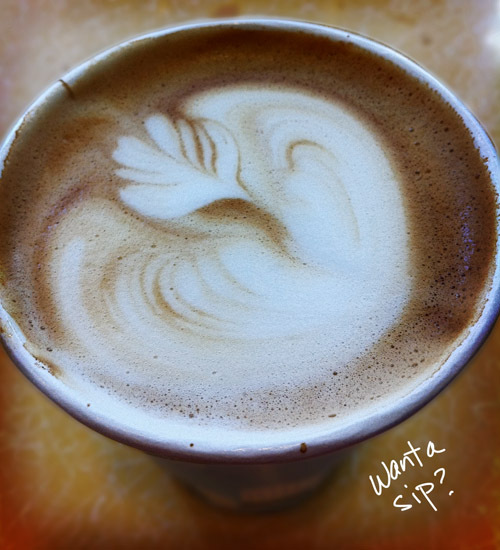 • I’ve seen better steamed milk art, though. 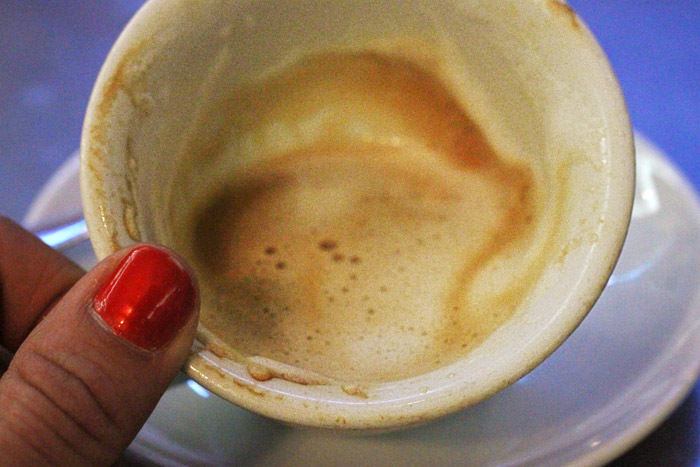 On Monday we got our caffeine fix at Ninth Street Espresso. And took pictures of a Vespa. And were slightly late for work. On Tuesday we reviewed Rubirosa Pizza. Vodka sauce on pizza. Read all about it. On Wednesday we ate cannoli on the PATH train. And took some incredibly blurry photos of it. On Thursday, we had a sangwich. And made some Honey Dijon Yogurt Sauce. Next week: We have some BIG news!! Stay tuned. Look at this work of art! Straight off Van Leeuwen‘s Panda truck this morning on 6th Ave. A good start to the birthday weekend, I think. This little beauty was followed by a delivery of Butterlane cupcakes from Marmo and the Box. This weekend will bring some good stuff for you, my dear readers, in the form of two great restaurants that will be reviewed. Get excited, but I’m going to keep you in suspense as to which restaurants. First, don’t forget to sign up to follow us, or tweet me “Happy Birthday” for you chance to win the herbed Italian salt. Click here for more details. Many thanks to all the people who have already done so! Need a recipe for the weekend? Try out Velia’s Eggplant Rolls. 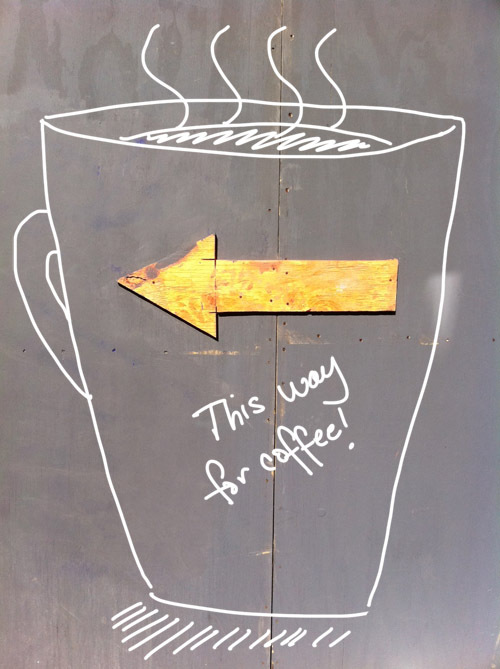 Want some Sant’ Eustachio Coffee? 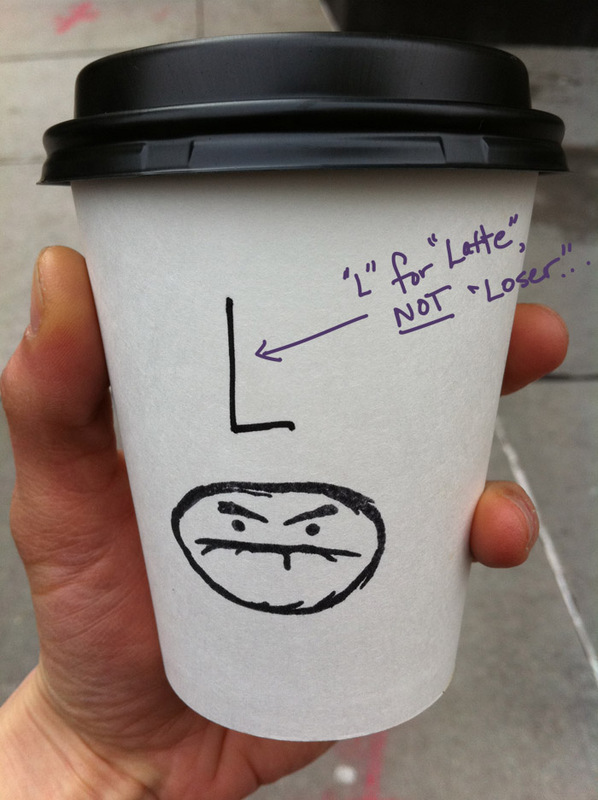 Order from Gustiamo and be entered to win a free coffee cup! Since Doug already won the Sant’ Eustachio coffee that I brought back from Rome, it has come to my attention that some of you may still want some of this coffee. But where to get it? I didn’t bring any more back with me, sorry. 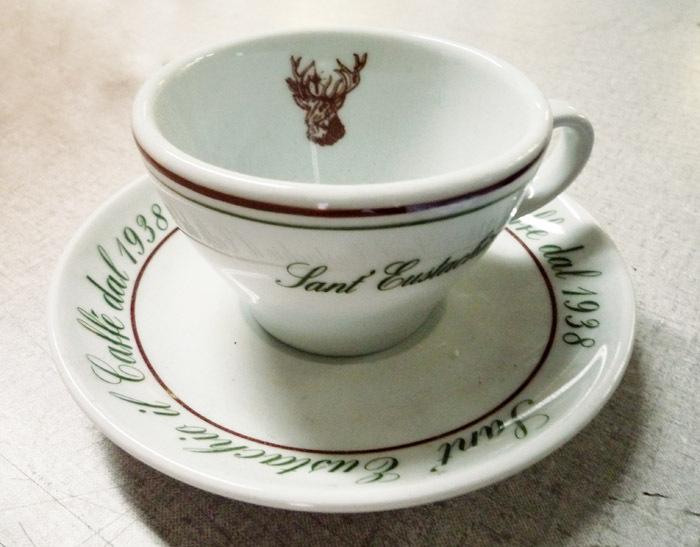 Enter Gustiamo – a magical website that imports fancy Italian delicacies, including….wait for it….Sant’ Eustachio coffee! Can you imagine? So if you would like to order some of your very own, you can get it here. 1. You order Sant’ Eustachio coffee from their site. 2 Enter the word “mug” in the special instructions box in the shopping cart. 3. A presto! 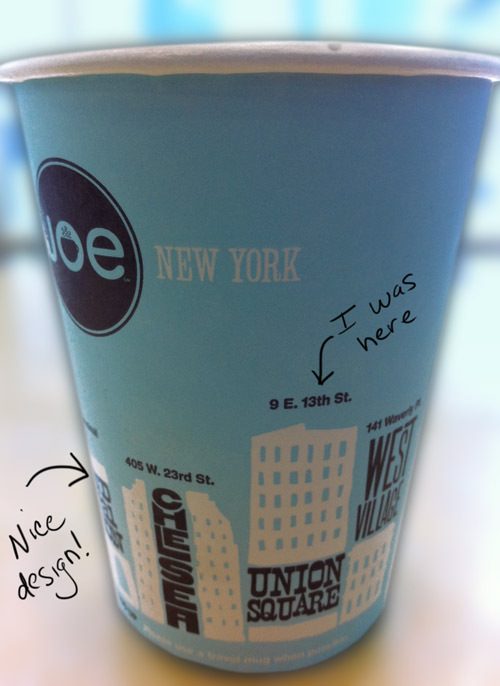 You are entered to win the coffee cup, pictured above. Neat right? We thought so. 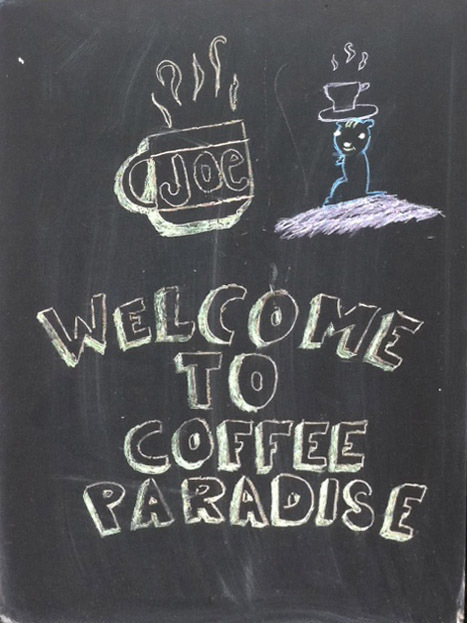 Now who wants a cup o’ joe?